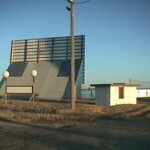 Please enjoy our list of drive-in movie theaters in the state of Nebraska. 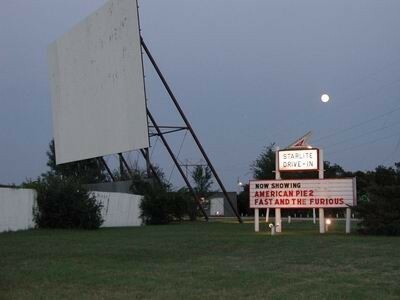 The Sandhills Drive-In is open Fridays, Saturdays and Sundays from June through September, and shows a single first-run feature at dusk. Owned and operated by GEJU theatres, a chain which owns several theatres in the region, including the Alliance theatre in town. Open weekends only in May until Memorial Day weekend, and open Wednesday through Sunday, showing first-run movies. 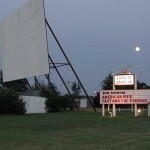 The drive-in holds an annual Summer Bash at the beginning of June, featuring family-friendly games. 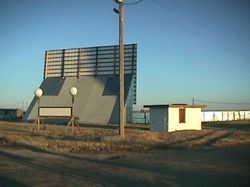 The place has been in operation since 1952, and is currently selling memorabilia (t-shirts and wristbands) in order to fundraise for a new digital projector.